Temporary accommodation opened for financially constrained students. As of next week, as many as 330 students who are currently without accommodation will be housed in a temporary facility until the end of 2017 examinations. 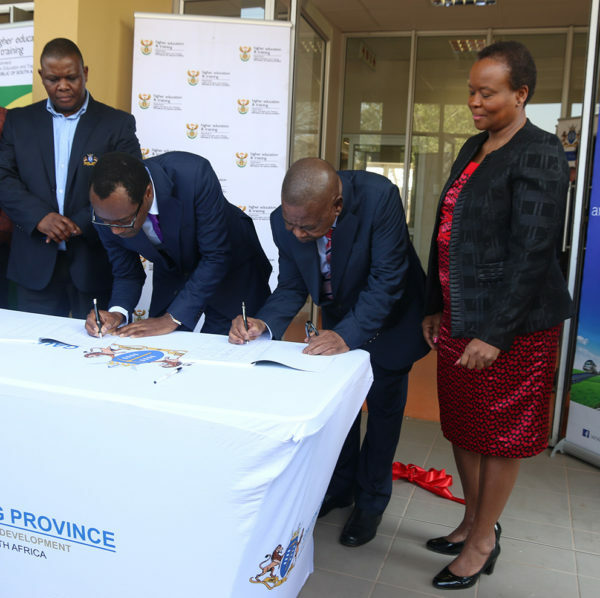 The Witwaters building in Parktown was officially handed over to Wits University by the Gauteng Provincial Infrastructure Department on Thursday, September 7. Minister of Higher Education Blade Nzimande and Gauteng MEC for Human Settlements, Jacob Mamabolo, presented a certificate of temporary occupation to Wits Vice-Principal, Professor Tawana Kupe. Mamabolo said that Wits had sent an urgent request to the provincial government two months ago requesting assistance with the provision of student accommodation. This led to the partnership in which the province financed the upgrades to the building that is being leased for free to the university until December 15. The criteria being used to allocate the accommodation include students with partial or no funding as well as students that live at least 20-30 kilometres away from Wits, according to Dean of Students Affairs, Dr. Puleng Lenka-Bula. However, Lenka-Bula and Sharman acknowledged that this criteria is not fixed as there are “different challenges that students encounter” throughout their academic experience. Sharman said that the university would only be providing security at Witwaters. Services such as Wi-Fi, cleaning and extra mural activities will not be rendered as there is no budget allocation. Eligible students can contact Claudine Prim of the Central Accomodation Office. Wits Vuvuzela : September 08, Wits opens a public bid for Alex land to raise funds toward student accommodation.